The mission of the Rockport Film Festival has always been to bring the best of independent cinema to the Texas Coast. This year, the Festival will take place November 1-4, at the Aransas County Airport. We are excited for our 12th year, and we need strong supporters, like you, to make it happen. While Rockport is still reeling from the impact of Harvey, the Film Festival aims to strengthen the economy by attracting cultural tourists to town. The Festival consistently has 30-35% of its attendees come from over 70 miles away, and the year after Harvey was no different. In 2018, we aim to increase that number by expanding the festival by one day and three feature films. 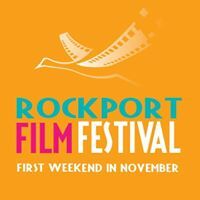 Will you consider being a sponsor of the 12th Rockport Film Festival? Your generous contribution will help us turn the airport hangar into a theater that can seat 250+ people, who will experience both the greatness of film and the charm of Rockport. You will be recognized as a sponsor at the theater, in digital advertising and social media, and in the Festival program. Please review the sponsorship benefits grid included here and return the response form by October 5. Thank you for your support.